There is simply no denying the fact that your wedding is undoubtedly one of the most important days of your life, if not THE most important. When the big day finally arrives, you really do want everything to be perfect. As most women have already discovered, choosing a wedding gown is probably one of the easiest challenges, whereas finding the best bridal shower gifts can be an absolute nightmare, and particularly if you intend shopping for them online. Fortunately, companies like Beau Coup can make the experience a whole lot easier, but as is to be expected, things can still go horribly wrong. Goods can get damaged during transit; deliveries can be delayed, or you could find yourself not receiving your order at all. So, should you place your faith in a company like this, especially since we are talking about one of the biggest days in your life? While I have not personally ordered bridal shower gifts from Beau Coup, I have invested a considerable amount of time in reading through a vast amount of Beau Coup reviews which have been written by ordinary people just like you. Some customers cannot praise this company enough, while others have sworn never to do business with them again. However, if you are serious about finding great bridal shower gifts that won’t break the bank, I would definitely encourage you to continue reading. Beau Coup is in my opinion, a wonderful example of how one person can turn a dream into reality. In 2001, while flying back home after her honeymoon, the Company founder had an idea and she began writing her basic business plan down on a cocktail napkin. The following year, with the family garage serving as a warehouse, Beau Coup was launched, and it has been expanding ever since. The goal by which the company is driven is simple: To offer and provide an unmatched selection of high quality favors; gifts and other supplies for virtually any special event imaginable, along with exceptional customer service. 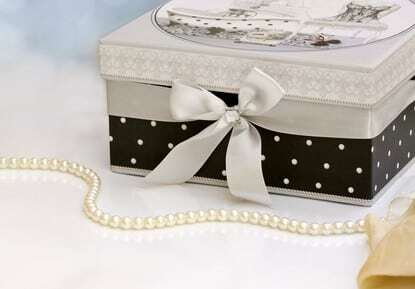 Initially, the company focused on providing a wide range of affordable high quality bridal shower gifts. By 2007, Beau Coup had expanded considerably, covering not only weddings, but also a range of other special events such as baby showers and etc. In 2008, the company reached another milestone when it was featured in Fortune Magazine, and by the end of 2009 they had formed a number of high profile partnerships. The following year the company secured its place as one of the fastest growing companies on the Inc 5000 list. Two years later, in 2013, Beau Coup merged with Swoozie’s, which was by then also another highly successful upscale business supplying high quality stationary; gifts, and a range of other personalized products. Okay, so there is no denying the fact that Beau Coup is a definite success story, but does that mean you should just go ahead and trust them without question? Carry on reading to find out what sort of experience their customers have been having. CONVENIENCE – Being able to shop for favors and gifts online is something which many people appreciate, not least because it can save you a considerable amount of time. VALUE for MONEY – Many customers have said that they compared Beau Coup prices to those offered by other competing businesses, and Beau Coup came out on top. The overall consensus seems to be that this company genuinely does try to provide excellent value for your money. VARIETY – Even though I have not done business with this company, it is clear to me that the amount of variety on offer is truly exceptional. Many of their customers have also commented on this, with some even saying that they offer more variety than any other similar business. SPECIAL OFFERS – The Company almost always has some or other special offer running. While these promotions may not coincide with an upcoming special event, they can nonetheless allow you to save a good bit of money if you are in a position to order favors or gifts early for future events. SHIPPING – Beau Coup will ship orders anywhere in the world. In fact, by the end of 2011 they had shipped goods to more than 100 different countries. REFUNDS; RETURNS & GUARANTEES – The Company is generally very accommodating regarding returns and refunds, and they do appear to offer a generous guarantee. However, as is always the case, there are certain terms and conditions which potential customers should familiarize themselves with prior to placing an order, and particularly if you intend placing a big order. Everyone likes to see a list of Pros & Cons when they read reviews. However, in order to keep this review as simple and as straight forward as possible, I have only selected those pros and cons which have had the most mention in the many Beau Coup reviews I have studied. Easy & Convenient When it comes to shopping for the best bridal shower gifts, or any other gifts for that matter, it really doesn’t get any easier than this. You can browse a vast selection of goods whenever it’s most convenient for you. Once you have found what you are looking for, simply go ahead and place your order; submit your payment, and then wait for your stuff to be delivered. Monumental Selection – I am very tempted to say that if you cannot find the sort of favors or gifts you are looking for on the Beau Coup website, you are not likely to find them anywhere else either. Their range of products really is something you need to see for yourself. Value for Money – If you are willing to dedicate several days of your life to finding cheaper prices, then I am sure you could probably find some Beau Coup products cheaper elsewhere, but is it really worth so much time and effort? In general, the overwhelming majority of customers have been thrilled with Beau Coup’s prices. High Quality – No Company is perfect on all counts, and neither is Beau Coup, so it would be misleading if I were to say that all their products are the best possible quality. However, I have studied a mountain of Beau Coup reviews, and I can assure you, most of their past customers have clearly been very impressed with the quality of the goods they received. Special Offers & Promotions – Reading through reviews and feedback left by old customers, I noticed many comments relating to special offers and promotions. From what I can tell, Beau Coup makes a point of constantly having one or more special offer running at any given time. These offers may not be of any immediate use to you if they are not relative to the event you are currently planning, but they could save you a good deal of money further down the line. For example, if you plan ahead for an upcoming baby shower, you could potentially have nine months to scan the Beau Coup website for special offers that are relevant to a baby shower. Quick & Convenient Shipping – Many of the products available on the Beau Coup site can be shipped within one business day. For obvious reasons, this does not apply to personalized gifts which naturally take longer to prepare and process. The Company will gladly ship orders anywhere in the world, with the only exception being that they DO NOT ship orders to the premises of freight forward services. Customers can also choose between various shipping options, including an Expedited Shipping option. Returns & Refunds – This Company generally has a very customer-friendly policy in place with regard to returns and refunds. However, there are a few grey areas, particularly when it involves personalized items. For example, if you order personalized wine glasses and then you change your mind, you are not likely to get a refund since the Company will be unable to resell the glasses. As is always the case when you shop online, potential customers should take some time to read through the Company’s policy relating to returns and refunds before they actually place their orders. Good Customer Service – Having read through countless reviews relating to Beau Coup and their products, it is clear that most customers have never needed to contact the Customer Service department. Nonetheless, many customers have had reason to get in touch, and judging from the many comments I have read, most have been VERY satisfied with the level of service they received. Okay, now for the list of cons. As we all know, no business is 100% perfect 100% of the time, so here is a list of the most common complaints. Even though the number of positive comments far outweigh the negative ones, they do still however deserve some consideration, and especially if you intend spending quite a lot of money. Hidden Charges – A few customers have reported hidden charges which they were only made aware of once they had actually placed their order and made the initial payment. One such case that comes to mind involved personalized chocolates. After the buyer had already submitted payment they were contacted by Customer Service and told that they need to pay an additional $18 or else the Company would not be able to guarantee that the chocolates wouldn’t arrive melted. Shipping & Delivery Delays – Sadly, I must confess that I have come across quite a few negative reviews which have resulted from delivery delays. A number of customers have reported that their orders never arrived in time for their special events. A few have ended up without any favors or gifts available on the day of their bridal showers, while others have been forced to make last minute arrangements because their orders had failed to arrive in time. In some instances, Beau Coup has tried to rectify matters by issuing full refunds, but I cannot imagine how disappointing this sort of experience must be for a couple on their wedding day. My advice would be that if you are planning for a bridal shower and you intend using this Company, then you should try to place your order as far in advance as possible. Quality Issues – Even though most of Beau Coup’s customers have clearly been very impressed with the quality of the goods they received, there are some people who have not been happy at all. In all fairness though, negative reviews concerning quality tend to involve mostly things like fortune cookies and other very low priced goods. I guess the golden rule of shopping applies, even with Beau Coup, in that if something looks too good to be true, it probably is too good to be true. Censored Customer Testimonials – I have read one or two reports claiming that the Company censors customer feedback left on their website. How true this is, is anyone’s guess. To be honest, I suspect that a lot of companies try to minimize the amount of negative comments displayed on their websites, so if Beau Coup is in fact doing this, they are almost certainly not the only Company. If you intend ordering perishable goods such as chocolates or fortune cookies, it might be a good idea to contact Customer Service beforehand in order to determine whether or not there will be any additional costs or fees other than the cost of your order and the shipping costs that are initially displayed. Always try to place your order as soon as you possibly can. The more time you have between the day you place your order and the date of your planned event, the less chance there will be of your order not arriving in time. This is especially true when it concerns personalized gifts or favors since processing time will largely depend on whoever is actually doing the personalization of your gifts or favors. Summary I have gone through a huge volume of reviews that I have read and a ton of feedback left by past and present customers. In the overwhelming majority of cases, customers have been very happy with this Company, and based on what I have read, I would be willing to do business with them as well. NextLooking For Discount Auto Parts Locations? Read This!